Mitt Romney spoke to reporters after returning from a dinner with President-elect Donald Trump. WASHINGTON — In the days after the election, after Mitt Romney had called to offer his congratulations to Donald Trump, a core nucleus of Trump advisers began assembling a list of candidates for secretary of state. They had every reason to leave Romney off it; the former Massachusetts governor had, after all, been one of Trump’s most vociferous critics and said he didn’t even plan to vote for him. But the core group of advisers — which included Steve Bannon, Jared Kushner, and Reince Priebus — quickly added Romney to it, and not just to heal old campaign wounds. When they presented the idea to Trump, there was no hesitation, according to a top-level transition team source. “We can put past differences aside,” said a second Trump transition source. After a two-hour meeting with Donald Trump, Mitt Romney said he was “impressed” with how the president-elect has handled his transition. Both sources stressed that Romney is a very real contender for the post. On its face, little of this makes sense. 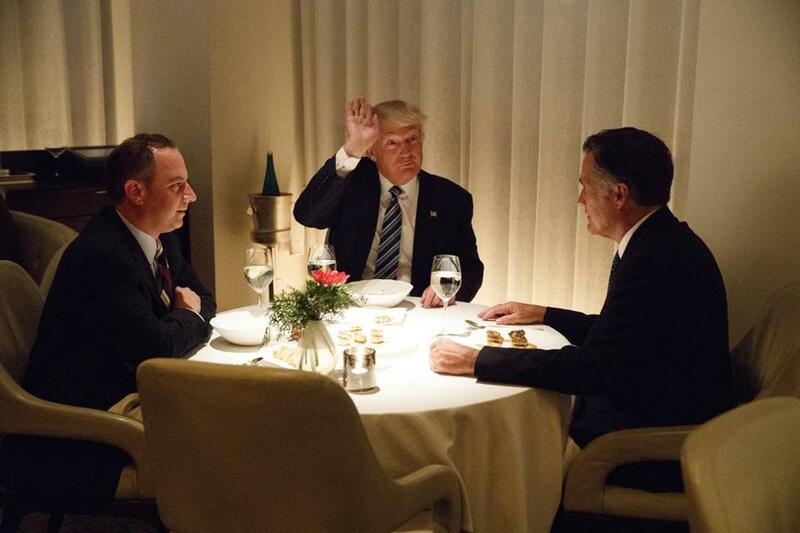 Few could have predicted the head-snapping turnaround that brought Romney to a jocular meeting with Trump in a fancy French restaurant in New York last week to discuss a possible role as secretary of state. But conversations with sources close to both men show that they have grown closer, and that Romney and Trump have developed a rapport, talking on the phone several times and holding two meetings. Trump is considering other candidates as well — and an announcement may not come for another week or two — but more meetings with Romney could come soon. Although Romney leveled some of the harshest attacks on Trump during the campaign, detente has become a bit of a diplomatic specialty for him, as he has taken pains to mend fences with past political adversaries, from John McCain to President Obama. And for those who know Romney — whose sense of flexibility, forgiveness, and devotion to public service are all well-established — it wasn’t complicated. “Mitt is very sanguine and comfortable about going through this process,” the person added. 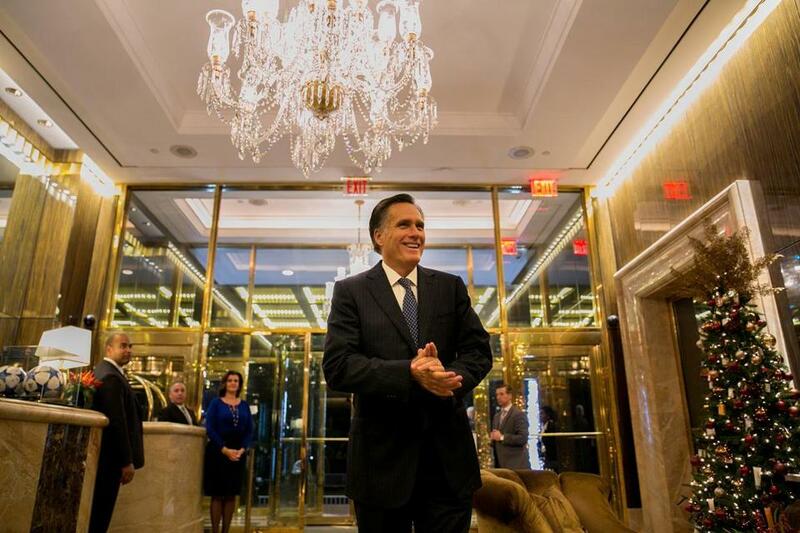 Romney has long had a sense of noblesse oblige, a feeling that he is duty-bound to offer his services for the greater good. Like many things about Romney, it’s a trait he inherits from his father, who agreed to serve in Richard Nixon’s Cabinet after a bitter primary. Romney went to Salt Lake City to salvage the Olympics from bankruptcy. He often told a story about how it was Ann Romney’s prodding that got him to first run for office in 1993, even as he pulled the covers over his head and said, “No! No! I don’t want to do it.” In 2012, he offered his support and advice to Obama over a lunch of chicken salad and turkey chili. Romney, who is also quick to let grudges go, has been tight-lipped about his motivations and inner thoughts. He has talked things through with only a handful of advisers, and he has largely asked them to remain mum. Some of those close to Romney are conscious of the fact that too much public chatter around Rudy Giuliani’s candidacy for the State Department post seemed to set back his prospects, with the former New York mayor apparently angering Trump by seizing too much of the spotlight. For the first meeting, held at Trump’s golf course in Bedminster, N.J., Romney came prepared to offer Trump his thoughts on handling a transition, and some of the issues he thought were important. Presidential transitions are a subject Romney himself had given a significant amount of consideration to — as he himself hoped to lead one four years ago. 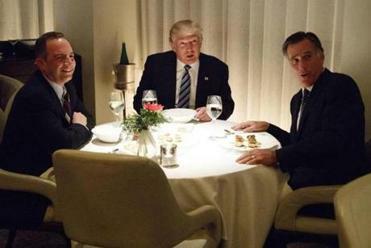 From left: Reince Priebus, President-elect Donald Trump, and Romney at last week’s dinner. The meeting ended up lasting 90 minutes, with both sides emerging with positive comments. One of those involved in the meeting immediately knew there would be a second. It is unclear whether there was any explicit apology from either man, but Romney emerged from the dinner praising Trump, saying the president-elect had accomplished something he never could: winning the general election. Trump advisers say they have tried to present him with a diverse range of options for each position he needs to fill. They have recognized that Romney and Trump don’t see eye to eye on several issues, chief among them relations with Russia — where Romney is wary and Trump more open to rapprochement. But they closely studied Romney’s positions and came to particularly appreciate his strong rhetoric on China, something that Trump is planning to make a centerpiece of his foreign policy doctrine. A second Trump official said the conversations have also focused on whether the two can come to agree on broad approaches to the secretary of state job. Trump’s transition team has said there are four finalists for the post. They have only named Romney and Giuliani, but other contenders have included Army General David Petraeus and, as a recent add to the mix, Exxon chief executive Rex Tillerson. More meetings are scheduled for this week, although Trump transition sources said deliberations could continue into next week. Still, the search has been extraordinarily public and has taken on the feel of a reality-show style sweepstakes for the top diplomatic post. It’s featured board-room meetings, contenders parading in front of the cameras, and plenty of public conflict. Romney, who had branded Trump a “fake” and a “phony” during the campaign, now finds similar terms of scorn and mockery being hurled his way. And yet the least Trumpian figure imaginable seems to be reaching a level of comfort with the idea of serving in a Trump administration, if asked. But one thing about the dinner has struck some close to Romney. Few can imagine a man whose food tastes generally range from cereal to meatloaf cakes eating, as the Trump transition reported he did, a soup with sauteed frog legs. “There’s no way he ate a frog leg,” said one person, who has shared many meals with Romney.